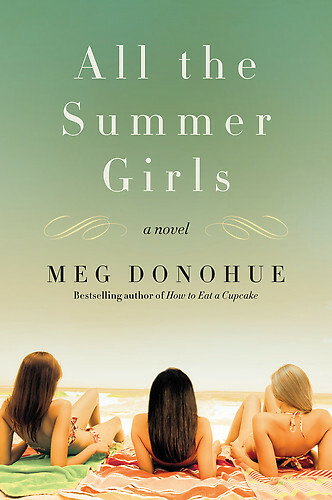 Meg Donohue, author of How to Eat a Cupcake and All the Summer Girls, has once again touched the hearts of readers with her new novel, Dog Crazy. Pet Bereavement Counselor Maggie Brennan sees people daily who have experienced the terrible loss of a pet, and she helps them to process their grief and find a new normal. But Maggie has a very intense secret of her own. Maggie hasn’t left her apartment for nearly 3 months because of debilitating agoraphobia. When an intense young girl comes into her office, she finds herself pulled into her life, and pulled out of hiding. Can Maggie learn to live out in the world, or will she continue to hide and keep her secret from the world? Can she reach out to others when she can barely take care of herself? This is a novel about reaching out, and getting over our fears and out of our comfort zone for the greater good. 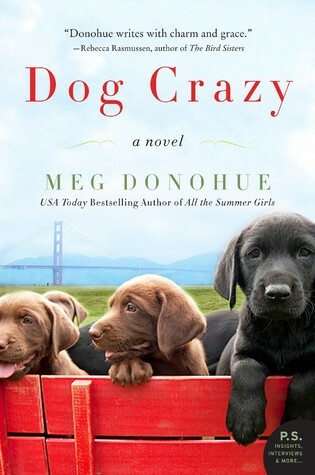 If you liked the other novels by Meg Donohue, Dog Crazy will not disappoint. Add this one to your amazon wish list, it comes out in March! Annie Quintana, b aker and pastry chef, has put a lot of effort into separating herself from her less than romantic past. Her mother was a housekeeper for the very rich St. Clair family and she was raised with their daughter, Julia (in a way). The two girls played together for many years but Annie was always the “poor housekeeper’s daughter” when she went to the private school that her mother’s employer paid for. When rumors were spread around the school that various thefts were committed by the pathetic charity case, and her mother passed away, Annie’s life was ruined and her college career was threatened-and she believes Julia responsible for the rumors. But Annie has achieved her own life successes and has found her own little niche, baking cupcakes and living among other hardworking and “normal” people like herself. The past is behind her. 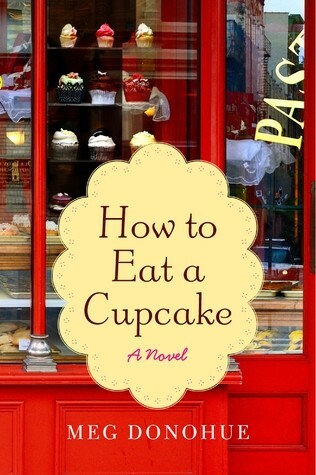 Until she is asked to provide cupcakes for a fundraiser being held by Mrs. St. Clair, her mother’s previous employer. She knows she should decline, but finds herself accepting the job…And entering the house, once again, in which her mother had passed away…Who should appear, but Julia, the so-called childhood friend, and Annie is forced to face the ghosts of her past, learn the truth about who she really is, and learn that there are mysteries in the St. Clair house that should be brought into the light of day. 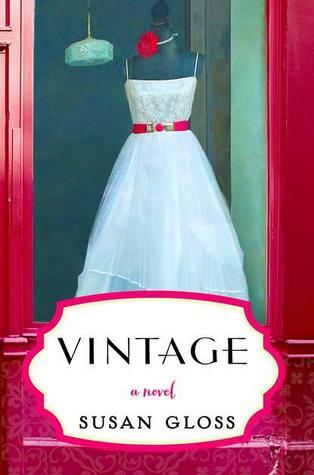 This novel, Meg Donohue’s debut into the genre, can be considered chick-lit with a touch of mystery. If you like the chick-lit, you won’t want to miss her special gift for character strength and true human interaction in her work. Check it out!